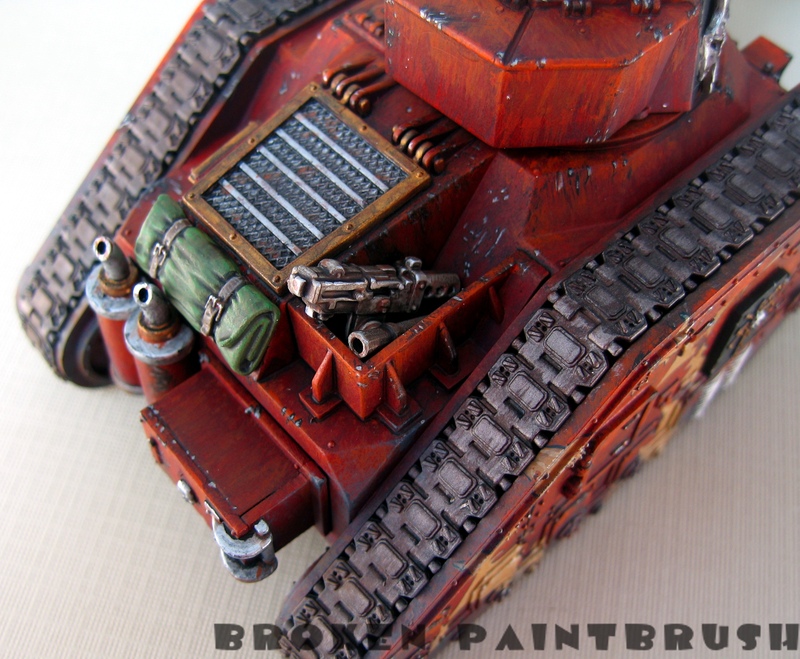 So with the long, holiday weekend I spent a bit of time finishing up the two Traitor Russ Battle Tanks. 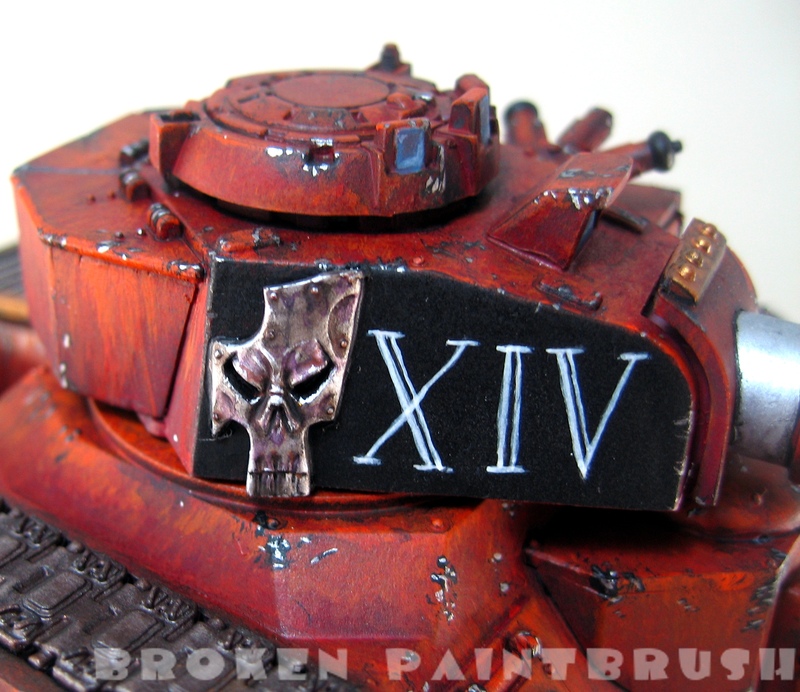 These are of course for the Traitor Guard aspect of the 14th Grand Company. 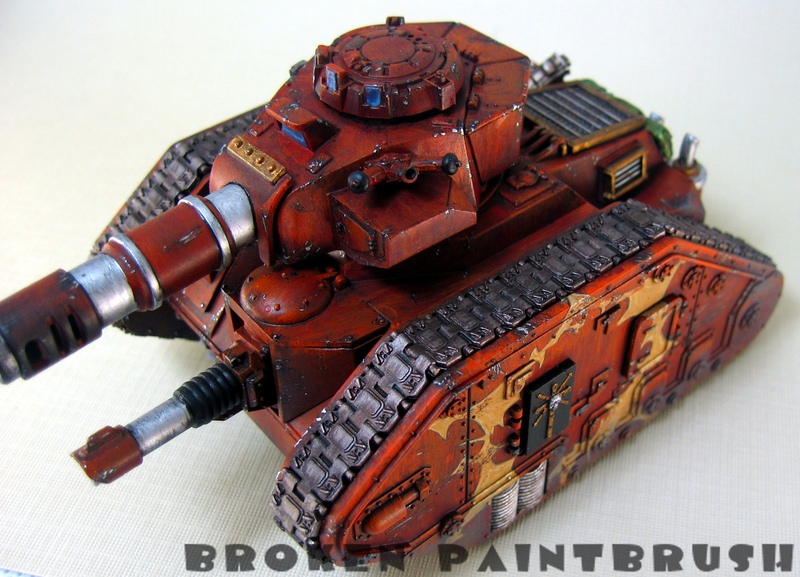 Here is the finished Traitor Leman Russ #2. 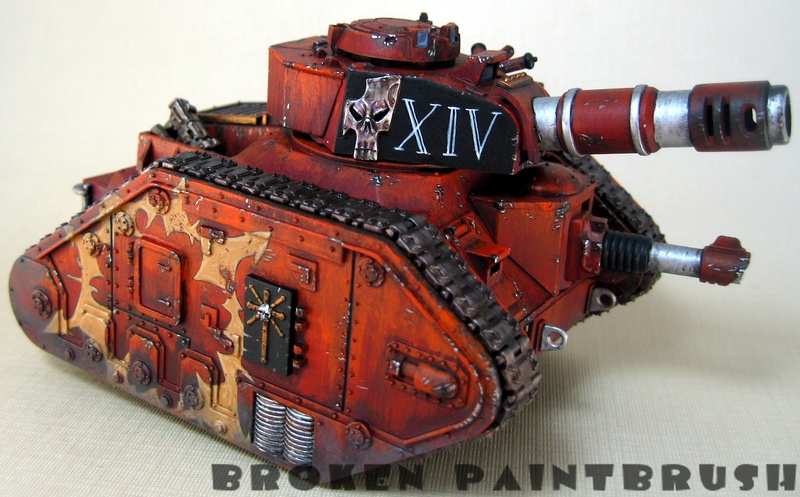 The main body is the faded orange/red streaks but added a couple of large Chaos stars that the Forge World models tend to have. I think it helps break up the large spaces well and add new interest. At first I was going to paint the lenses green to match my Iron Warriors but through it clashed a bit too much and decided on the blue instead. The cool blue offsets all the warm oranges and is more fitting with the cool silver. I also thought the cargo boxes looked a bit funny being empty so I painted up some bitz to add some details. 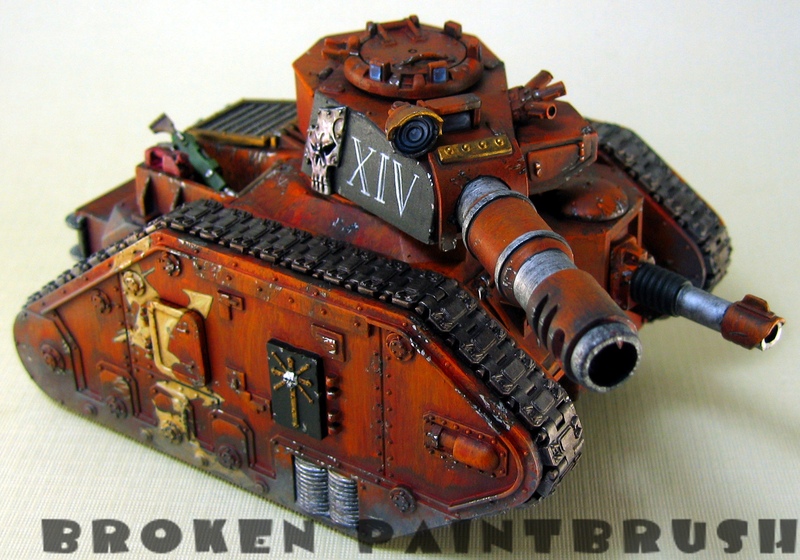 This one has an extra gas can (for those torch wielding fanatics), an extra lasgun and a rusty shovel. 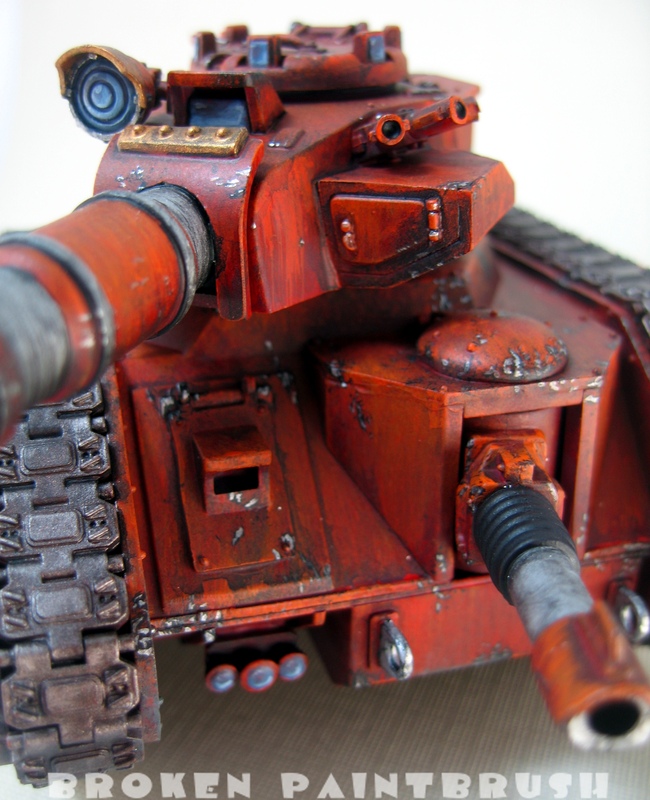 You can also see the close up of the weathering done around the hatches. And Russ #3. 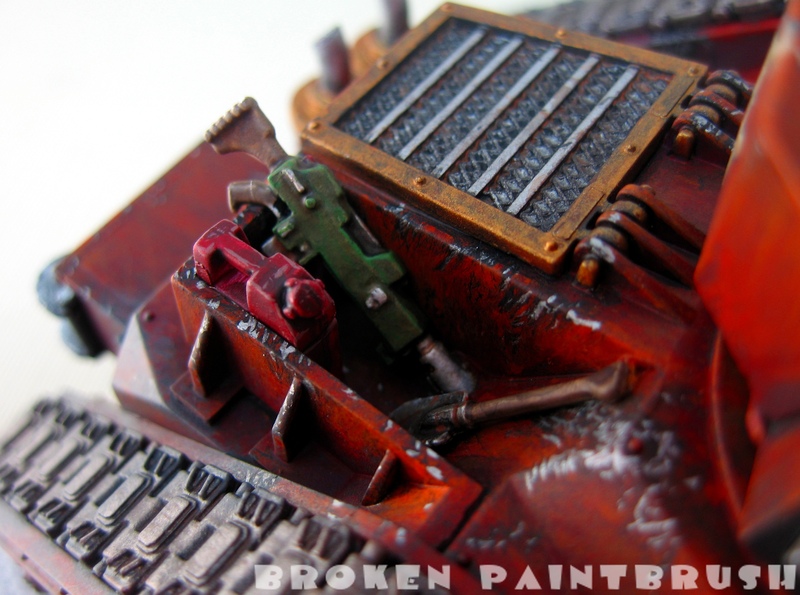 Again with the large Chaos star and my Iron Warriors badge on the turret. You can see the star somewhat matches on the other side, but with enough differences to keep it from being a uniform. This one got a camo cloth and broken down stubber.